Bonnie has been with the office of Mortgage Intelligence Sarnia for more than 14 years. Prior to her Mortgage Intelligence experience Bonnie has more that 33 yrs experience as part of the management teams of one of Canada's top 5 banks. Bonnie prides herself in listening to her clients, to ensure that they receive the best mortgage or credit advice or product to suit their needs with the best rates available. Bonnie was born and raised in Sarnia and chose to raise her family in Sarnia. Bonnie knows the local Real Estate market and her years in the business have allowed her to make many valuable contacts. If you are a first time buyer, Bonnie will help you to understand the mortgage lending approval process so you are more informed. With a Pre-Approval in your pocket, you can feel comfortable looking for a house in your price point. If you have been a Mortgage Holder in the past, Bonnie can update you in any changes made in the Mortgage Industry. 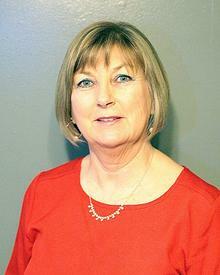 Mortgage Renewals, Refinancing and Private Financing are all available with Bonnie's expertise. Why leave one of the most important decision in your life to anyone less dedicated and experienced. Call Bonnie today.